This shop has been compensated by Collective Bias, Inc. and its advertiser. All opinions are mine alone. #BakeHolidayGoodness #CollectiveBias The holidays are upon us and baking is in full production in my kitchen. I love to make creative and fun baked goods for Christmas. 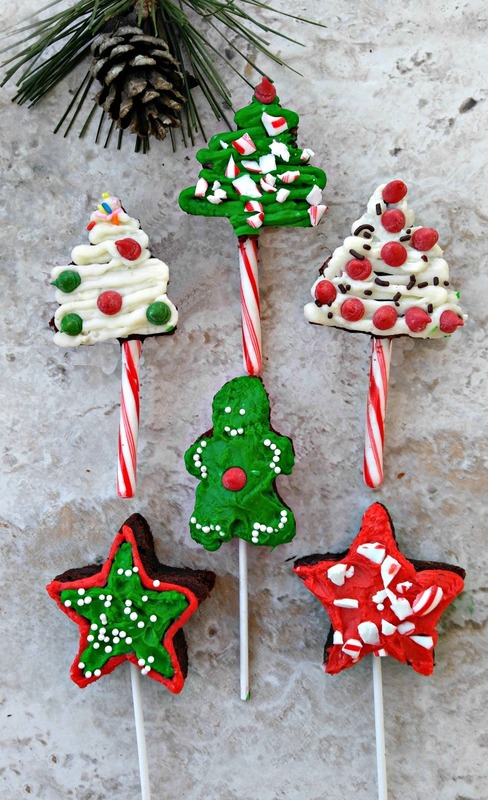 These Holiday Shaped Brownie Pops are so much fun to make and the kids will just love to get involved in the project. I can make a whole pan of brownies and then cut them into the shapes I want with these sturdy (and sharp!) cookie cutters. For another tasty Christmas recipe, check out my Holiday Kiss Cookies. Balancing my time during the holiday season can be a challenge, when there are so many demands on a busy homemaker. I love to make totally from scratch recipes, but also know my limits too. So, that means that I often take a few shortcuts this time of the year and make use of some of the great products from the Nestlé line of baking supplies. My local Walmart always has a special area reserved for holiday baking supplies this time of the year, so it was easy to scoop up a bunch of items from their big line of ingredients. 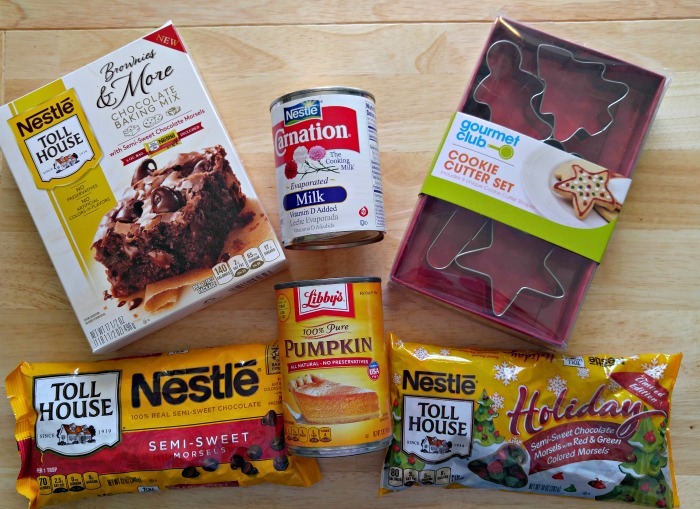 Whether you are going to use NESTLÉ® TOLL HOUSE® Semi-Sweet Chocolate Morsels for baked goods, a can of Libby’s® 100% Pure Pumpkin for the traditional pumpkin pie, or NESTLÉ® CARNATION Evaporated Milk to make a richer frosting, they have you covered. I even found some NESTLÉ® TOLL HOUSE® Holiday Morsels in red and green colors. 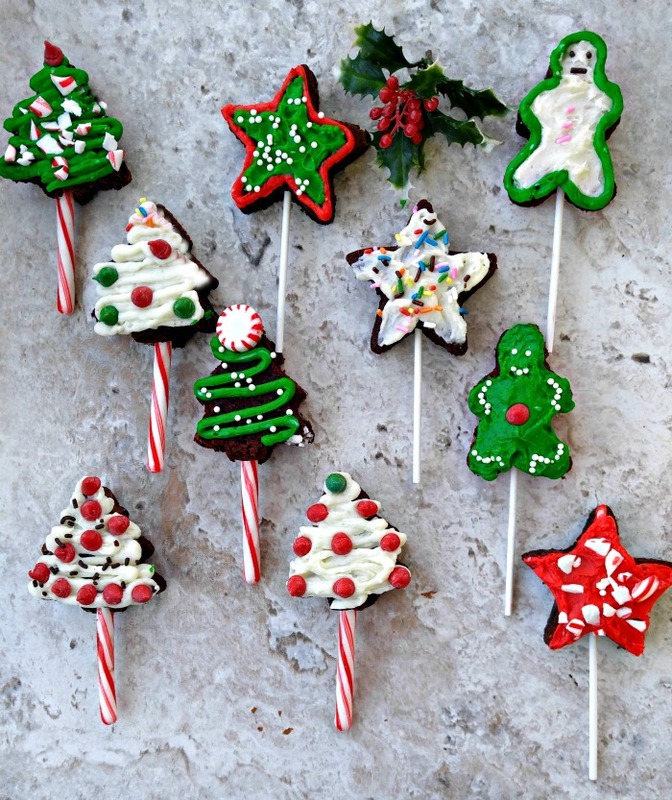 As soon as I saw them, I knew what I would be using to decorate my Christmas tree Holiday Shaped Brownie Pops! Let’s get to work! It’s time to make the Holiday Shaped Brownie Pops! I decided to use a new Chocolate Baking Mix for my brownies – NESTLÉ® Toll House Brownies and More. The baking mix has a 6 oz bag of Semi-Sweet Chocolate Morsels as part of the package. How cool is that? I started by making the brownies. Once they were cooked, I let them cool a bit and placed them on a wire rack. In order to make the brownies easier to cut with the cookie cutters, I trimmed the hard edges. I found that the back of the brownies has a flatter surface so I used this for the top to make decorating easier. Once the brownies were well cooled, I used my metal cookie cutters to cut them into the holiday shapes and used both peppermint sticks and cake pops for the holders. The icing is a traditional powdered sugar and milk recipe. I used evaporated milk for some extra creaminess. Once the ice was made, I separated it into small bowls and used gel food coloring to get a variety of Christmas colors to use to decorate my shapes. I also left some of the icing white. Each icing color went into its own icing bag. TIP: If you don’t have icing bags, just use zip lock baggies and cut off the corner of the bag. I made an icing station so that all of my decorations would be handy and ready to use when I started to assemble the Holiday Shaped Brownie Pops. Decorating is the fun part. The kids will LOVE this stage of the process. Once you have the icing on the brownie shapes, just let your imagination go wild to decorate them. It’s Christmas time and baking with kids is one of the most fun parts of making recipe! These pops are rich and chewy with the delicious taste of semi sweet chocolate. Each bite gives an extra surprise, depending on how it’s decorated. The platter will be empty before you know it. 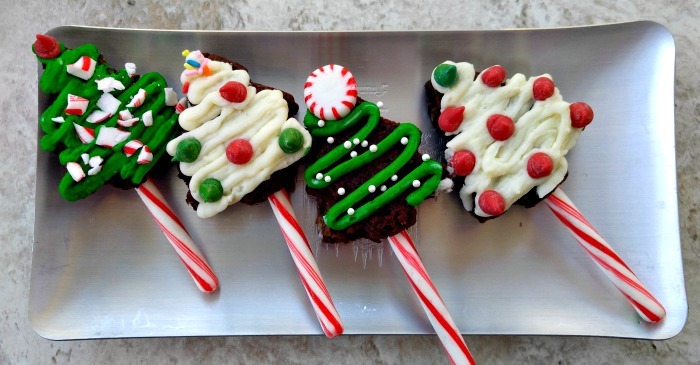 These yummy Holiday Shaped Brownie Pops will be the hit of your Christmas dessert table. So, head to your local Walmart and look for their special holiday baking display, as well as their fully stocked baking aisle. I also found my cookie cutters in the baking aisle. And remember that NESTLÉ® ingredients are the perfect tools to elevate your holiday baking! And as a special bonus, if Walmart grocery pick up is available in your area, you can get a $10 promo code just for sharing with a friend who has not used this service before! Looking for more holiday inspiration? Be sure to check out the NESTLÉ® Flavorful Moments Pinterest board. LIne an 9 x 13" pan with parchment paper. Spray lightly with a non stick cooking spray. Preheat your oven to 325º. Prepare your brownies according to package directions. Since I used a larger pan than one box asked for, I cooked my brownies 30 minutes and they were prefect. Allow them to cool slightly, remove and place on a wire rack. Use 3" metal shaped cookie cutters to cut your brownies into Holiday shapes. I used a Star, a Gingerbread Man, and a Christmas Tree. Insert a cake pop or peppermint stick into each of the brownie shapes. In the bowl of a stand mixer, beat the butter and 2/3 cups of the confectioners' sugar on medium speed until light and fluffy. Reduce the speed to medium-low; and gradually add the rest of the sugar. Raise speed to medium-high again and add the evaporated milk and vanilla extract. Continue to beat until light and fluffy, about 3 minutes. 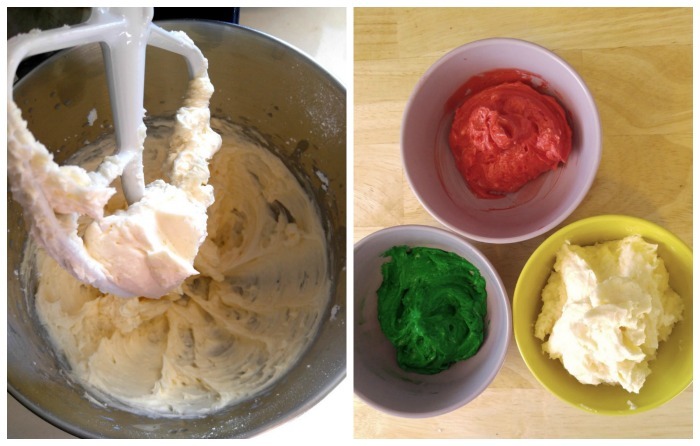 Place the icing into small bowls and color it with your gel food coloring. 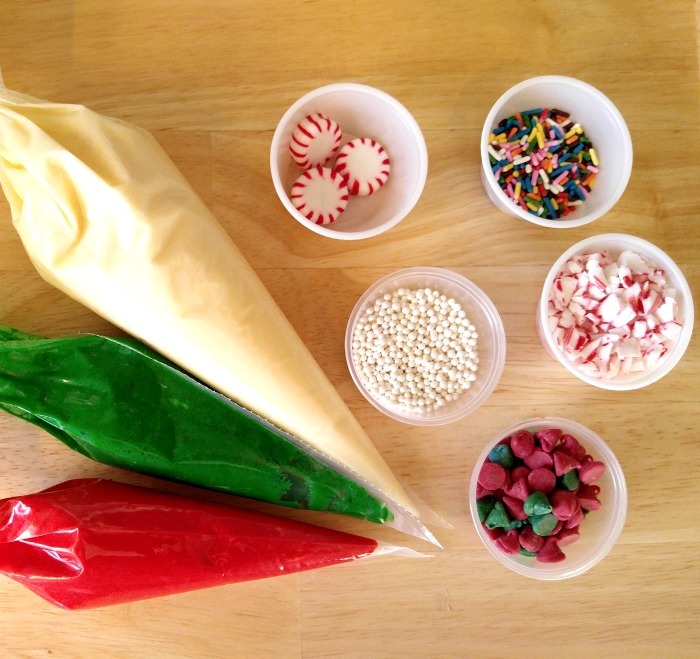 Place the colored icing in icing bags and decorate the Holiday brownie shapes. Decorate with the red and green morsels and sprinkles. I got 13 of the brownie pops and enough brownie left over to make some small cake pop balls. Waste not, want not! !